Recently, I've been thinking about a concept. A teacher of mine asked us to raise our hands if we find ourselves working harder at the things we enjoy doing. Pretty much everyone raised their hands. I think this is such an important thing to talk about, because many people still don't know the difference between loving something and doing it because it benefits you in ways that doesn't fulfill your happiness. Especially now that I'm officially a junior (eek), it's time for me to start thinking about what I want to major in. There are so many articles out there (I know, because I've read them) that have headlines such as "TOP TEN HIGHEST PAYING JOBS IN 2016." For a while you're caught up in this overly competitive world where people are comparing their salaries and in doing so they've lost the most important thing in life: happiness. Don't worry, I've been there. We all have. But it's time to take a step back. Close all your tabs that have lists of high paying majors and surveys that will grant you easy money. Close your eyes and think. 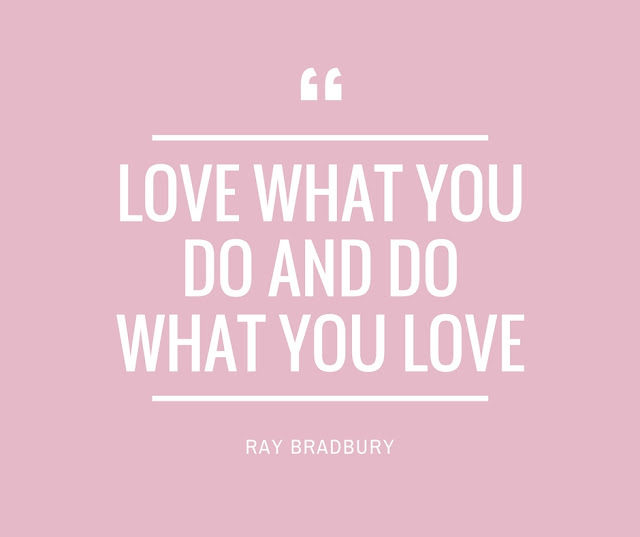 What do you love doing? Not things you do because your friend does them. Not things you do because it will look good on your college resume. Especially not things you do because "I'm going to study law and become a successful lawyer because my parents are making me become one but it's okay I guess because at least I'll make a lot of money." (Nothing against those studying law or are lawyers. It was just an example.) Really think about the things that you have a passion for. Respond to the constant voice in the back of your mind yelling the occupation that you know you would be excited to do every single day for the rest of your life. It doesn't matter what the starting salary is, or if you have to struggle in the beginning. If you choose the thing that you love doing, none of that will matter. You will succeed. I think this is important, but at the same time, what if you don't know what you want to be? Sometimes it's those high-end low-risk jobs that you immediately fall onto, or is that an unhealthy way to think?